The Centre has reconstituted the task force on August 4, 2015, to consider the feasibility of the proposed steel plant. VIJAYAWADA: A delegation of TDP MPs met Union Minister for Steel Chaudhary Birendra Singh in New Delhi on Saturday and submitted a memorandum urging him to take a call on Kadapa steel plant issue at the earliest and direct Mecon to submit the feasibility report.In the letter, YS Chowdary, leader of the TDP Parliamentary Party, said that to bail out the State from the crisis it was facing after bifurcation, certain provisions were incorporated in the AP Reorganisation Act. Integrated steel plant at Kadapa was one among them. The Centre has reconstituted the task force on August 4, 2015, to consider the feasibility of the proposed steel plant. The last meeting of the task force was held on June 12, 2016, in which the State government has requested Mecon to submit the feasibility report of the plant. Mecon has asked the State government to clarify the status of the proposed iron ore mines and assure availability of iron ore without any legal hurdles. “The State government has been communicating from the time of fourth task force meeting (November 23, 2017) that sufficient iron ore is available for running the proposed steel plant for a period of 30 years, as requested by Mecon. Out of eight mine leases in Anantapur district, three would expired by March 31, 2020,” Chowdary said. “After expiry of these leases, the State government will allocate these mines for the proposed steel plant. Given the construction time of four years for the integrated steel plant, these mines would be available well in time,” Chowdary explained. He said these three mines would have a total iron ore reserve of 266 million tonnes. “The same was communicated to Mecon,” the MP said. According to him, the State government has engaged GSI to conduct exploratory studies in and around the existing lease areas and found that those areas also possess good reserves. “The exploration activity is going on and finalisation of G-2 level exploration report is a time-consuming process which might take up to two years. Further, the G-2 level geological report is also not required for this,” YS Chowdary said. “We have discussed various options for setting up the plant which includes, Government of India establishing the plant, State government setting up the plant, joint venture between Central and State governments, JV between government and private sector or purely private sector,” he said. 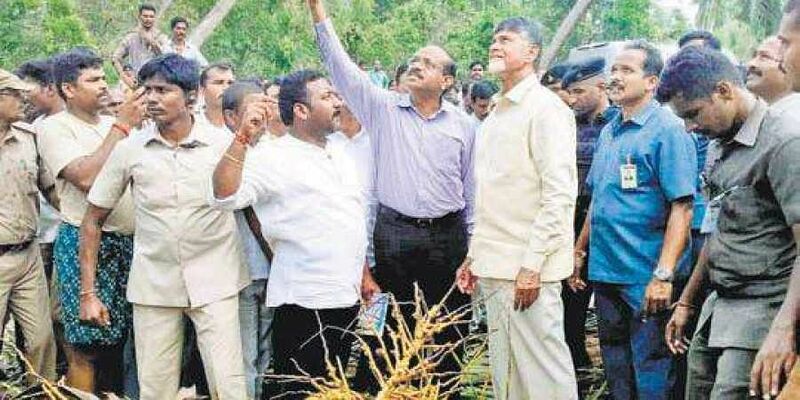 The TDP leader said though it was considerable strain on the fiscal situation of AP, the State government has provide plethora of incentives for the plant. “We request the Centre to grant a total exemption from GST for the first seven years, income tax exemption for a period of 10 years out of the first 15 years of operation,” YS Chowdary said.